While we are not an “authorized” Allen Bradley or Reliance service center, we do have extensive repair experience with the entire Allen-Bradley vfd and Reliance vfd product lines. We have a factory trained Allen Bradley Rockwell International technician on our staff. We repair and service and sell Allen Bradley vfd, Allen Bradley Powerflex 70, Allen Bradley servo drives, Allen Bradley spindle drives and Allen Bradley plc’s. We have several Allen Bradley drives for sale in our warehouse in Dallas Texas. Our field staff has experience in start-ups and service of many Allen-Bradley and Reliance drives and systems. We also have an experienced SLC-500 / Micrologix / Panelmate programmer on our staff. Many of our customers have come to depend on the level of service we can provide on these products. Below is a partial list of the Allen-Bradley and Reliance products we have worked on. Bill Kegley, has been with Specialized Electronics since 1994 and has worked for Allen Bradley in Mequon Wisconsin for five years and has extensive training on many of the Allen Bradley products. We have done extensive work on Allen Bradley vfd drives since 1996 and many of our customers ask for him to do service work in the field on their Allen Bradley drives. We have done extensive repairs on the Allen Bradley 1395 DC drive as well as the Allen Bradley 1391 AC servo drive with great success. We do sales on our used and refurbished AC drive stock. Specialized Electronics is a 24/7 field service group as well so if you have a breakdown and need help in the field at your factory call us today to fix your Rockwell / Allen Bradley equipment today. Specialized Electronics can also train you to troubleshoot your Allen Bradley VFD. Call us today if you have a need to purchase or repair your Allen Bradley VFD Drives even if not listed above as we have many more items in stock and repair many items that we carry and do not carry as well. 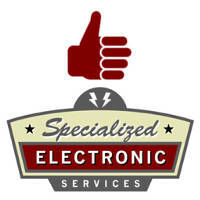 At Specialized Electronics we have over one million dollars in inventory of items ready to ship today.